Katherine Roberts was born and raised in Northern California's bay area, in Silicone Valley. She knew from a young age that she wanted to make a name for herself- somehow. She had always been a self-starter and graduated from a very academically competitive high school. Then Katherine worked as a commercial actress and print model in LA for about 5 years. She made the leap into Television and Film by creating her own projects. 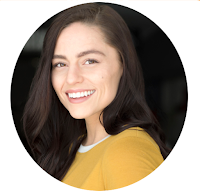 Her debut short film won Fan Favorite at last year’s LA Film Festival and her most recent short film is now streaming on Amazon and soon on AT&T U-Verse and Direct TV. Even with all this exciting growth at the end of the day Katherine still found herself wanting more. 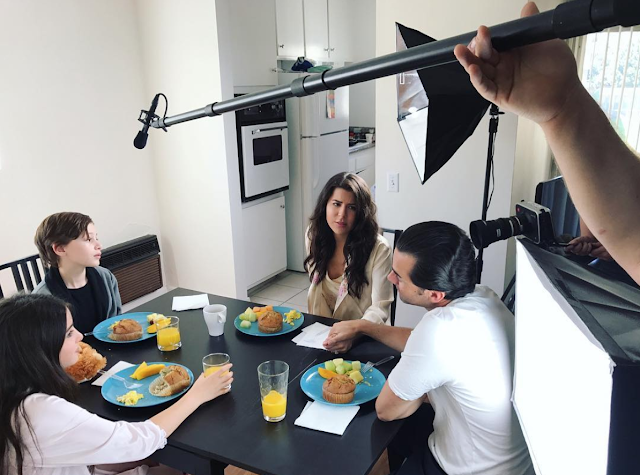 The founder of Indige, Katherine shown behind the scene shooting "Behind Her Eyes"
Her passion for fashion and entrepreneurial instincts lead her to Indige. As an indigenous person herself, she was inspired to combine her own ethnic background and her affinity for accessories, into an ethically responsible business that not only supports indigenous people and cultures around the world but is super chic, affordable and fashionable too. 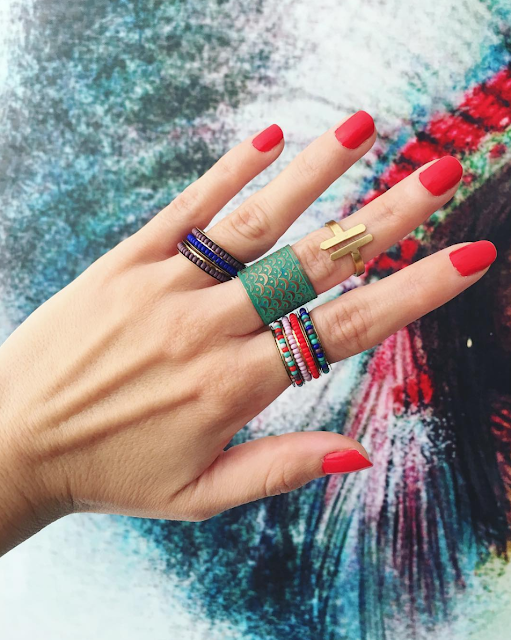 Indige works with companies that 100% fair trade and source their products directly from their indigenous artisans. Indige is an Etsy treasure trove of all sorts of styles from around the globe. 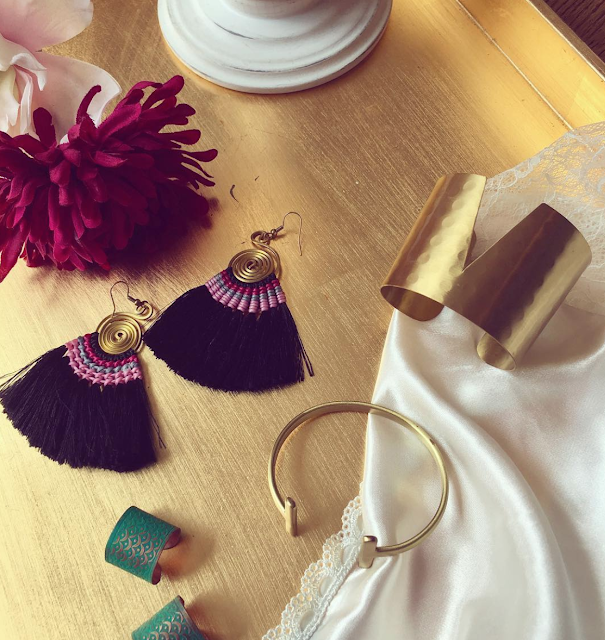 From fun and exotic Pom-Pom Hair-ties from the women of The Lisu Hill Tribe in Nepal, to bold statement necklaces that were hand-made in India using recycled, Eco-friendly materials. 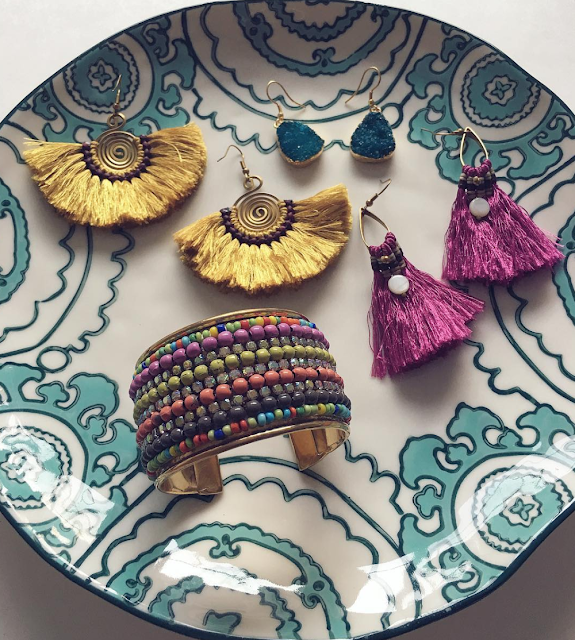 The Indige collection hand picked by Katherine is bound to draw compliments and start meaningful conversations about ethical fashion and everything it has to offer the world and its people. While Katherine juggles her creative careers, the ups and downs of owning and operating several ventures at time, she ultimately hopes to show the fashion and accessory industry through Indige, that quality, ethical, and environmentally friendly products have a meaningful and powerful place in fashion too.